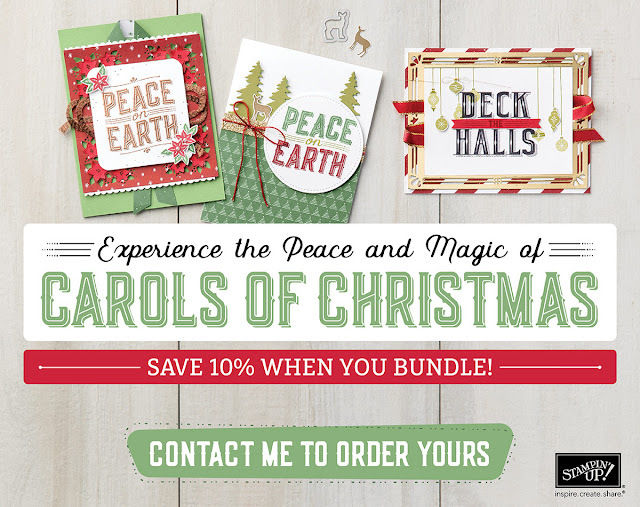 You will be able to order the Carols of Christmas exclusive, limited-time products and save 10% when you bundle between August 1 and 31, 2017. Use any earned Bonus Days coupons to purchase the Carols of Christmas items (or your choice of products). Early purchase of the Carols of Christmas sets, available between August 1 – 31, 2017! All exclusive items associated with this promotion will be available between August 1 – August 31. There are no limits; you can purchase as many items as you’d like. Bundle and individual items will be available in the 2017 Stampin' Up! Holiday Catalogue.